Looking for a little solitude? Maybe an early morning paddle is just what you need! 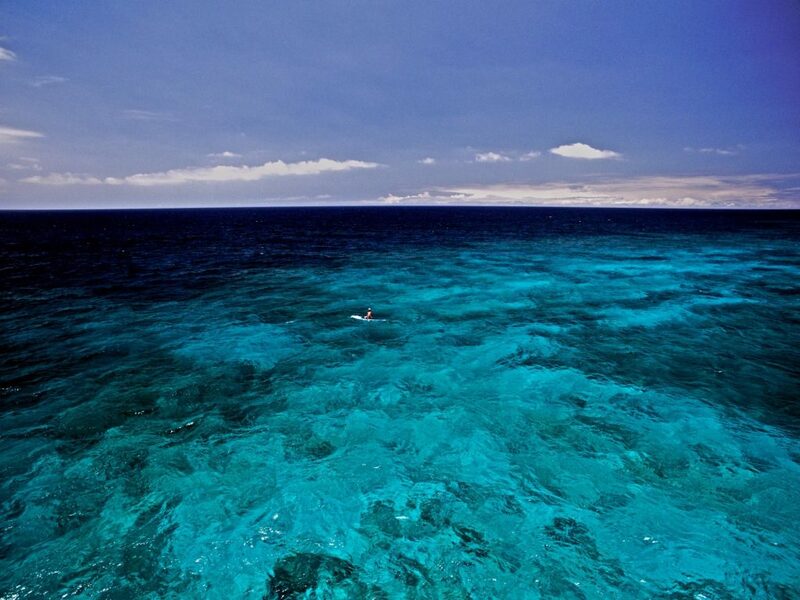 This beautiful shot from Thomas Hergenrader captures a lot of what we enjoy about playing in Hawaii’s Kona waters. On the leeward side, waves and wind are more calm, creating wonderful conditions for getting out and taking it easy. The corals here are separated by swaths of white sand in shallow ocean. This causes the high contrast coloring of the sea, especially brought out by the angle of this photo, taken from a quad-copter.